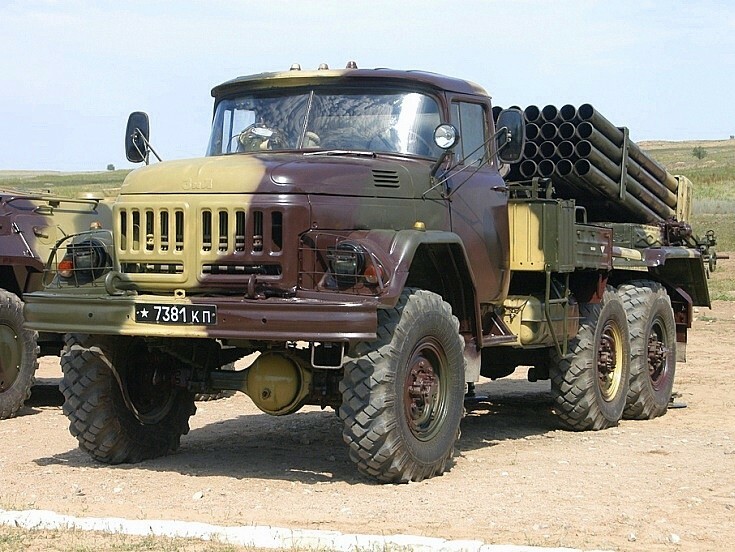 The 9P138 "Grad-1" is a lighter 36-round version, mounted on a six-by-six ZIL-131 chassis. The vehicle with supporting equipment (rockets, transporter 9T450 and re-supply truck 9F380) is referred to as complex 9K55. The 9P138 can only use "short-range" rockets with a range of 15 km. He used to be known in the West as BM-21b or M1976.